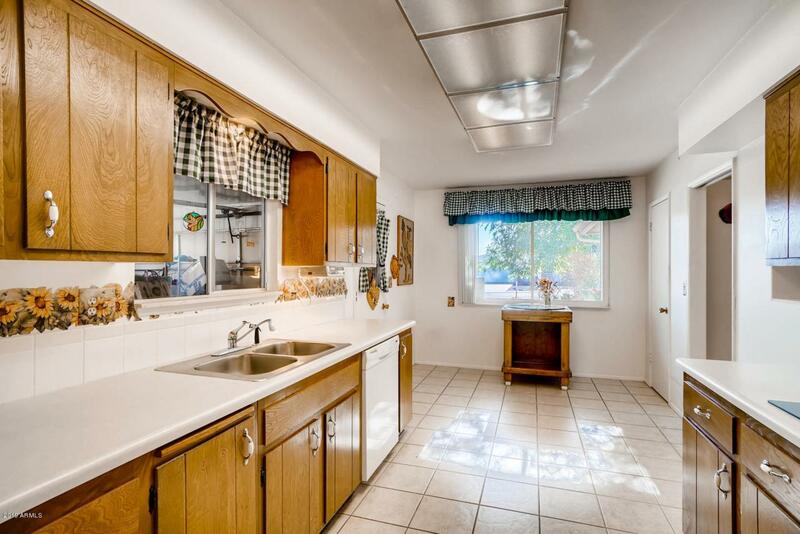 Charming stucco home is move-in-ready ! 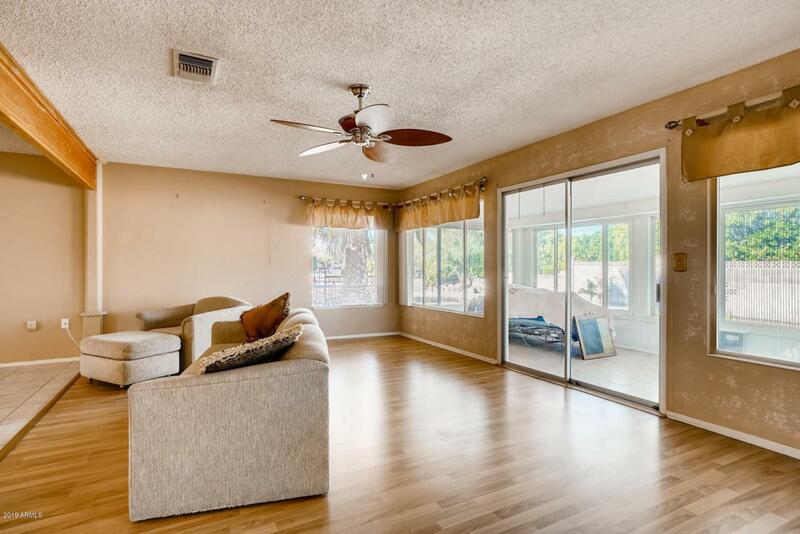 Affordable & Adorable open floor plan leads to a sun-filled bright sun room. features dual pane windows. Tile throughout living room, kitchen & bathrooms. 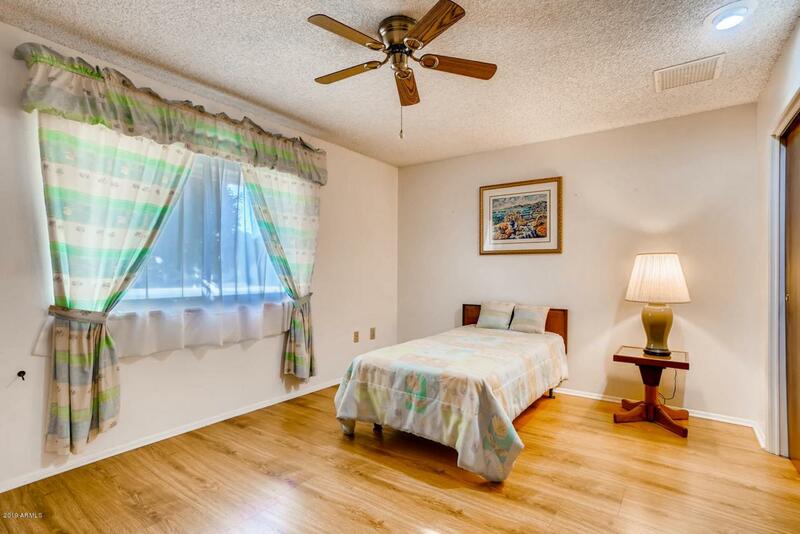 Wood laminate floors in family room & bedrooms. Cozy bright kitchen has a breakfast nook. New water heater 2019. 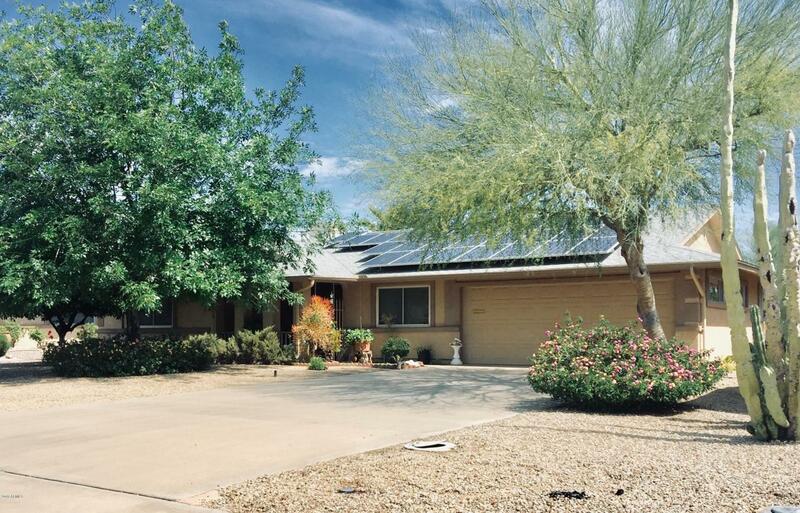 Home features Solar panels. 2 car garage with work shop & Laundry hook up area. Located in a peaceful cul-de-sac. Adjacent to Dawn Lake. Come picture yourself living here!